At Daia we supply and install German engineered kitchens at surprisingly affordable prices. We also have manufacturing facilities where we build bespoke kitchens from scratch. Our designers therefore work on the principle that almost anything is possible. Everything is planned with you, with creativity and an eye for detail, to ensure you achieve your ideal kitchen; whether it is the heart of a family home, a place for entertaining, or both. 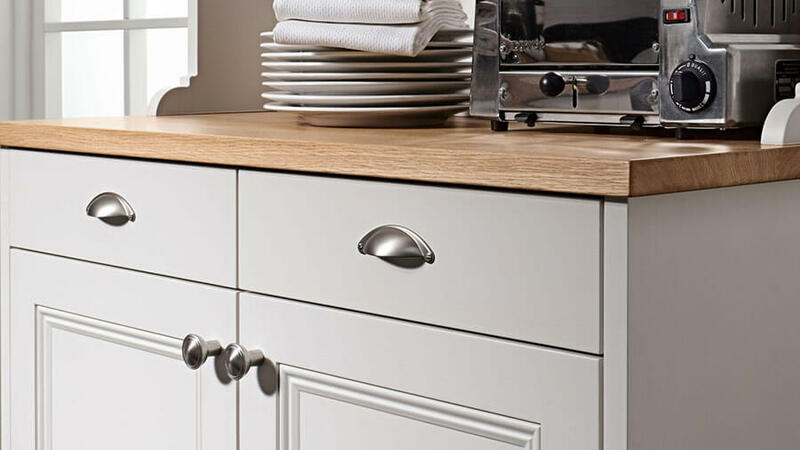 We invite you to visit our showroom to see our amazing range of kitchen furniture. We also have a wide selection of handles. To see our current designs please click here. 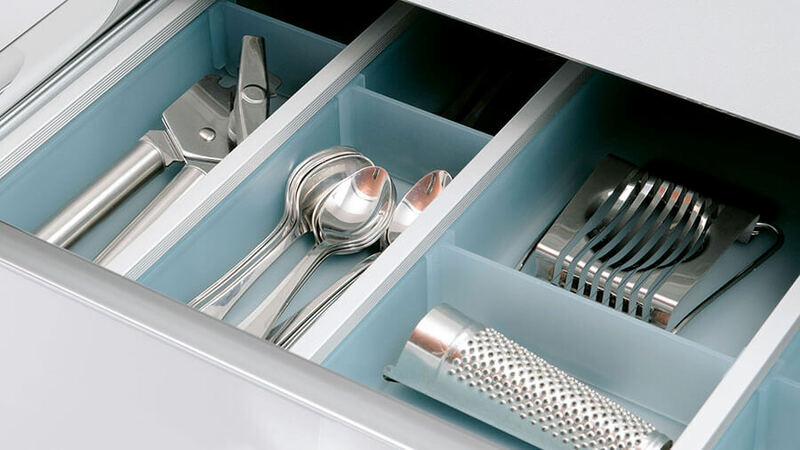 Things in the kitchen are finally organised – all on their own. Click here to see some of the configurations. Laminate 40mm pp (polypropylene) edged - A good value option available in a wide variety of finishes, Antibacterial, scrub and scratch resistant. Come to our showroom for a preliminary visit to see our range of kitchens; for a full presentation on the features of the kitchen we suggest you make an appointment to discuss your proposed design such as modern, contemporary, traditional or classical kitchen. We will make an appointment with you within 5 working days; to present a 3D Design along with an estimate. You can refine your design choice as many times as you wish as we want to ensure you get the kitchen you want. When you are happy with your designs and confident to place an order you will be required to sign a contract which will detail your design and pay a deposit towards the cost of the kitchen. A Final payment will be required before delivery of your kitchen.